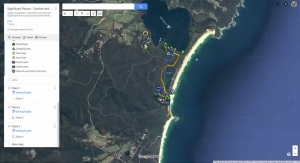 Bournda National Park is located on the Far South Coast of NSW, between the small towns of Tathra and Merimbula. The Park is very popular with locals and tourists who come to enjoy the spectacular coastal scenery and rich biodiversity. 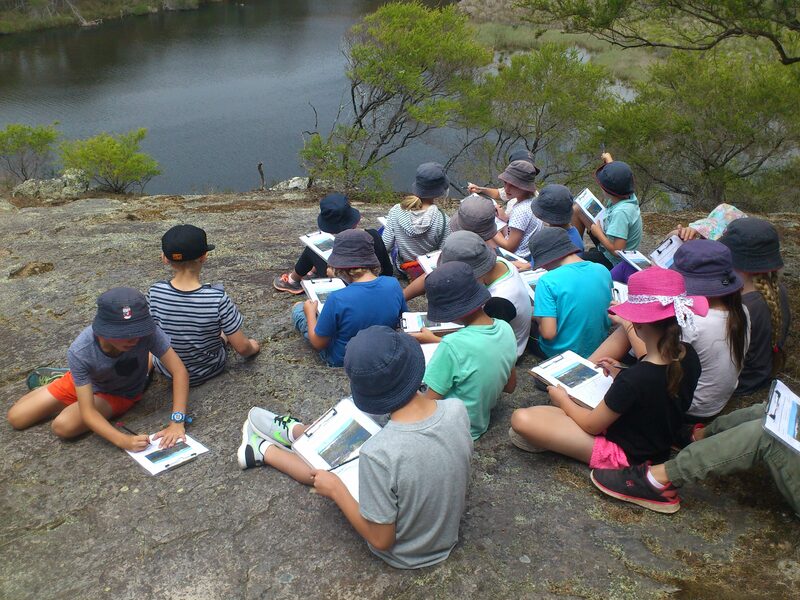 Students will be guided through the geography inquiry process to answer key questions about the important features of the Park and to find out about its history. Students will observe how the park is used by different people and discuss why the Park needs to be protected. Where is Bournda National Park? What features of Bournda National Park make it unique? How do people use this Park? Why does this Park need to be protected? 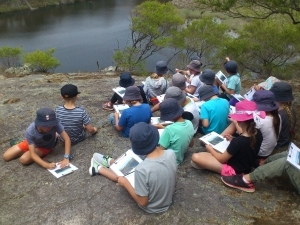 use a map to find their way around Bournda National Park. use field sketches and annotated diagrams to collect data about natural features and human use of the Park. An interactive Google Map has been prepared to highlight the significant features that the students will explore during their field trip. Students can edit the map to add photos, text and other information that they collect. The map can be viewed in your browser or in the Google Maps app. During the walk students look at different locations in the Park and discuss the natural features, habitats and use by people. 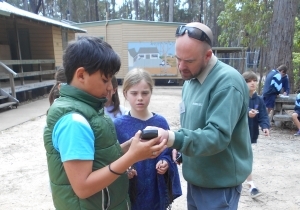 Students take on the role of a specific Park user and identify how they will look after the Park and follow rules to protect the environment. Students will complete a simple sketch and identify important landmarks. 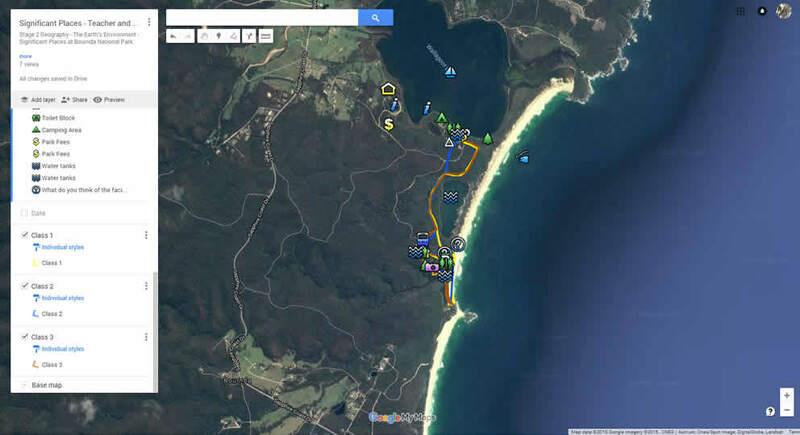 A map will be used to mark each location that is visited including Bournda Lagoon, Bournda Beach and Bournda “Island”. Students should be able to identify waterbirds and a range of plant communities including the Bournda Rainforest from this location. Bondi Lake Track to the Shelter Shed – A journey through history. The Bondi Lake track has a wonderful history. 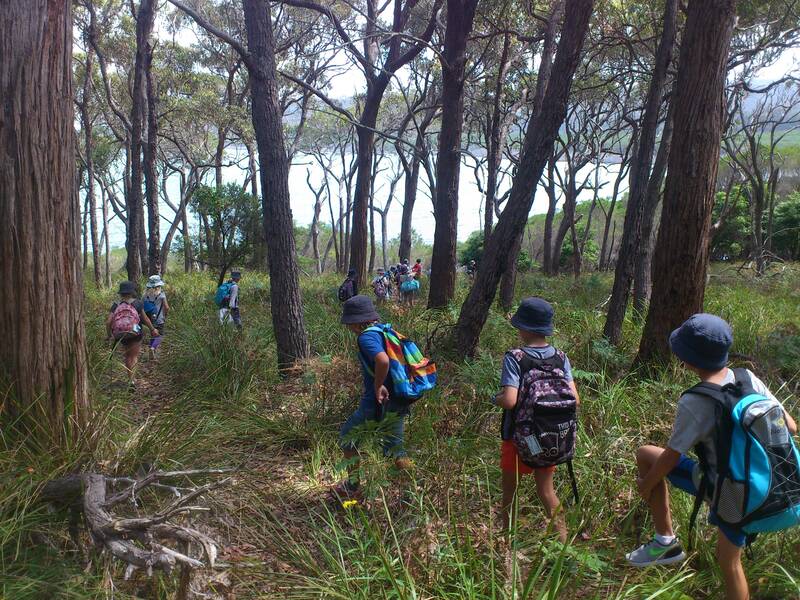 Students will discuss how Aboriginal people used the natural environment and how traditional pathways connected important parts of the landscape. The establishment of a road by Surveyor Bransby in the 1850s gets students thinking about the human impacts that have changed this area over the last 200 years. GE2-1 examines features and characteristics of places and environments. GE2-2 describes the ways people, places and environments interact. GE2-3 examines differing perceptions about the management of places and environments. GE2-4 acquires and communicates geographical information using geographical tools for inquiry. Students: investigate the importance of natural vegetation and natural resources to the environment, animals and people, for example: (ACHGK021, ACHGK022, ACHGK024). identification of types of natural vegetation eg forests, grasslands, deserts. environment eg provision of habitats, production of oxygen. Description of how custodial responsibility for Country/Place influences Aboriginal and Torres Strait Islander Peoples’ views of the environment. ST2-11LW describes ways that science knowledge helps people understand the effect of their actions on the environment and on the survival of living things. 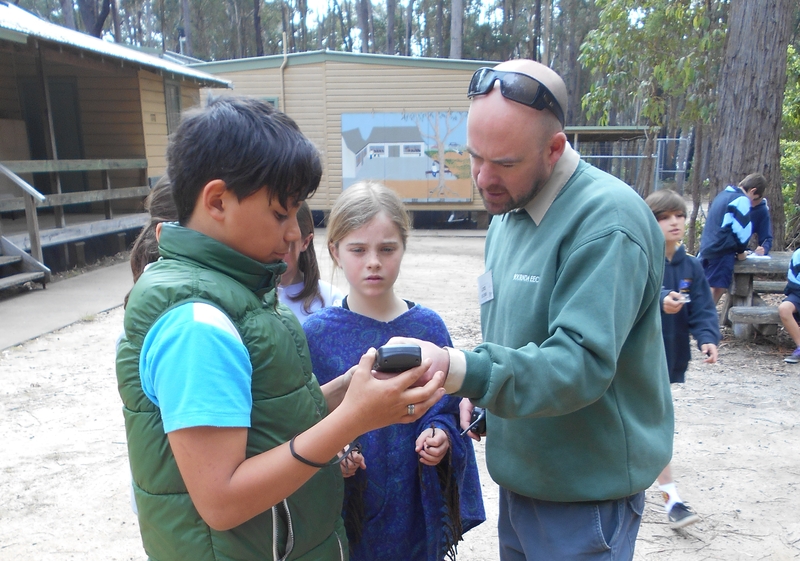 We have a variety of teaching and learning resources that can be used to support student learning prior to, during and after your participation in a Bournda program. Schools booking a program will be able to access these materials via One Drive or Google Drive.